I’m so excited to share our Teenage Mutant Ninja Turtles craft with you this week that not only my son loved making but my 8 year old self was pretty excited too! 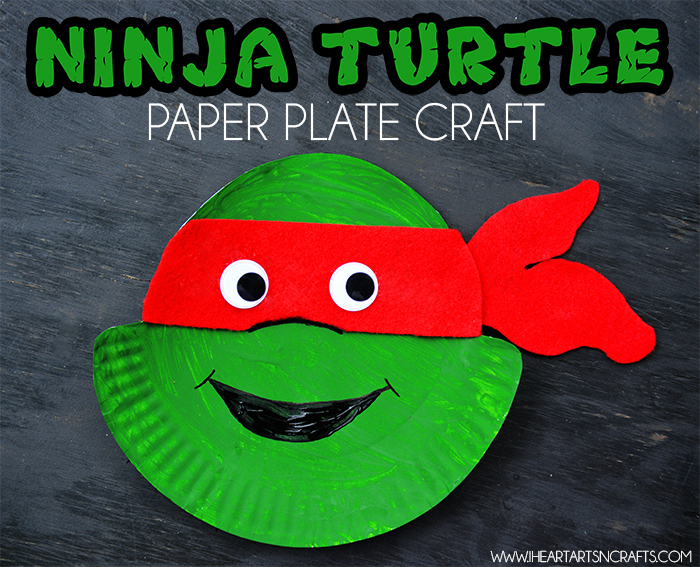 What’s awesome about this craft besides it being TMNT, is it’s super easy and perfect for those little hands. 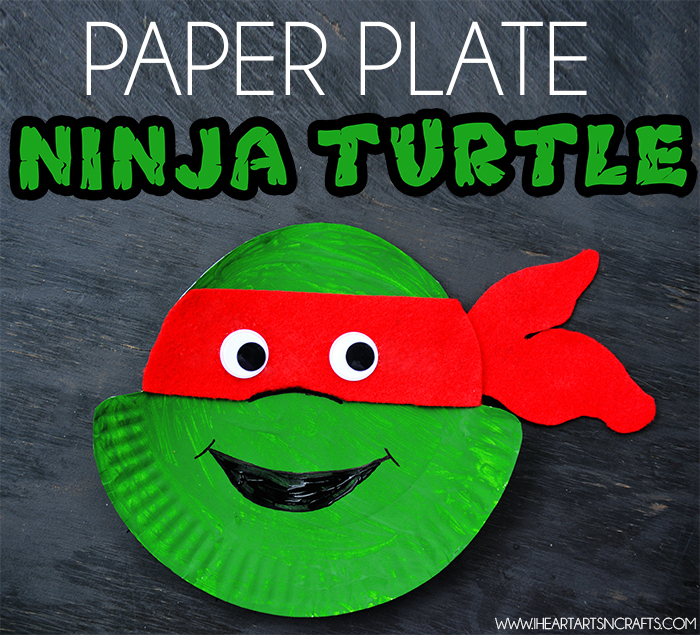 Using a paper plate and only a few simple craft supplies your kids will love making the whole TMNT gang! First you’ll prepare the paper plate so that your child can start painting. Cut around the top half like the picture above to create the shape of the Ninja Turtle head. Beside the paper plate you’ll see the bandanna, because my son’s still too young to use scissors I cut it out myself, out of felt so that it was ready to be glued on. Make sure to leave an indent on the bottom for the nose. 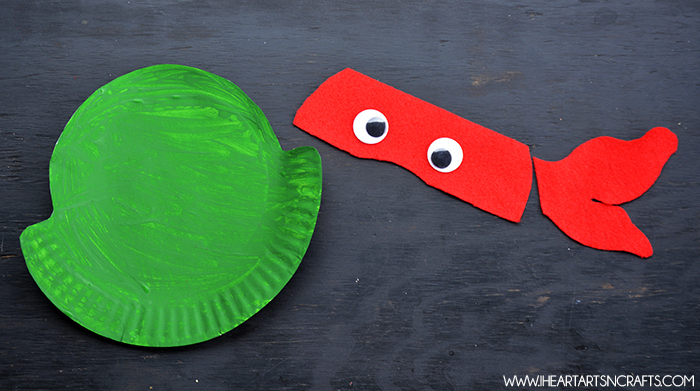 Next have your child paint the paper plate green and let dry. Then they can either paint or draw on the mouth and then glue on the bandanna! Finally finish off with the googly eyes!